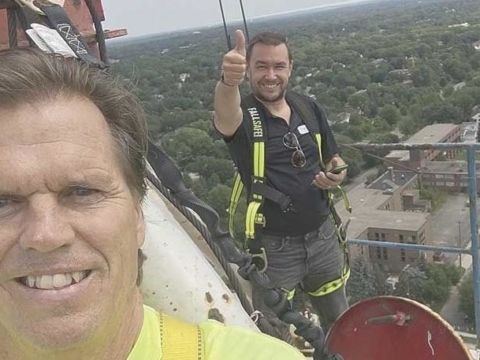 The epoxy industry is growing at a steady rate thanks to its ability to find a delicate balance between beauty and mechanical longevity. It’s long-wearing enough to act as a stable industrial coating, yet elegant enough to enhance retail and restaurant interiors. Not all epoxies are made alike, though. Anti-corrosive primers, self-levelling flooring, and gravelled coatings each have their own benefits. While epoxy is remarkably strong, its style potential cannot be ignored. This year, the industry is using resin to replicate trendy natural stone flooring through the inclusion of flakes and gravel. 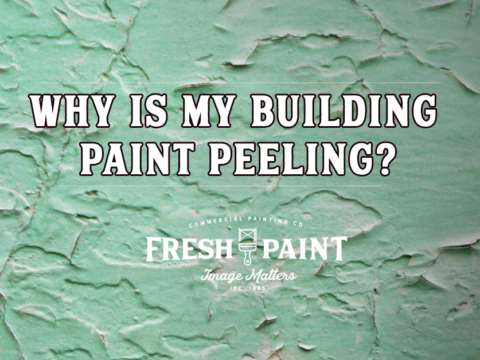 It’s equally attractive when used to enhance your wood grain or bring out the brightness of your paint. Self-leveling: Ideal if you’re finishing an existing concrete floor. Self-dispersing: For industrial environments that must withstand heavy machine traffic. Gravelled: For decorative, branded, or patterned floors. Anti-static: A specialized option for environments in which electronic components are worked with and static needs to be minimized. Laboratories and medical environments can also benefit from an anti-static coating. Flaked: Decorative flakes are added to epoxy to achieve a stylish finish. Water-based: Here, epoxy is used to seal and prime a floor that doesn’t need to be particularly durable. This coating can seal porous flooring to achieve a high-gloss, stain-resistant coating. Solvent based: Best used as a sealer and primer for floors that require a thin coating in well-ventilated environments. 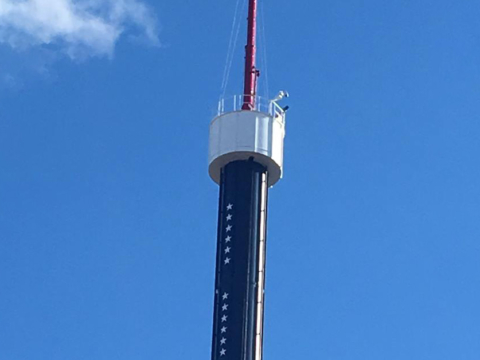 100% solid coatings. A system that protects against abrasions, tire marks, and potent chemicals for decades. Epoxy terrazo: The inclusion of chips of marble, glass, or granite in a polished epoxy film. Vapor barrier: A sealer primer that prevents moisture seepage. 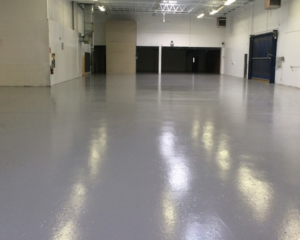 Mortar coatings: These are one of the strongest epoxy floors, so they suit heavy industrial applications. Epoxy is immune to a massive collection of corrosives like acetic acid, diesel oil, alcohol, and hundreds of other chemical products. While it’s not recommended in factories that use acetone, bromide, and fluorine gas, it resists other corrosives at high temperatures of up to 72 degrees Fahrenheit, both in gaseous and liquid form. This makes epoxy perfect for companies that produce and package foods under stringent regulations. Most food storage environments are required by law to be chemical-resistant and easy to clean. If your factory uses lasers and cutting machines, epoxy flooring will also support your dust control strategy. The pharmaceutical industry’s frequent audits and inspections are just as easily met with the addition of a nonporous, chemically resistant floor coating. Palette trucks and other heavy machinery cause constant damage to hard, porous, erosion-prone floors. Epoxy’s flexibility is its greatest strength here, but it’s also nonporous, so it won’t form cracks and holes when exposed to heavy traffic. It resists ink and oil, which would otherwise corrode cement floors, so a basic epoxy coating will have a dramatic impact on durability. 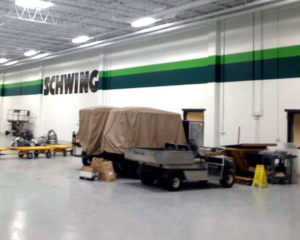 Most businesses can’t afford their production lines to be down for long periods of time, and today’s water-based epoxy floors solve downtime problems by preventing toxic fumes caused by solvent-based coatings. Epoxy achieves a seamless, nonporous surface, leaving no crevasses behind for bacteria and mold to collect. When your flooring is cleaned, the results will be thorough, so it’s preferred by the medical industry, which often needs coatings that are as aesthetically pleasing as they are sterile. By sealing away brick and mortar flooring, epoxy reduces dust, as well, helping to make your setting more hypoallergenic and safe. Dust can be catastrophic in many other industries. 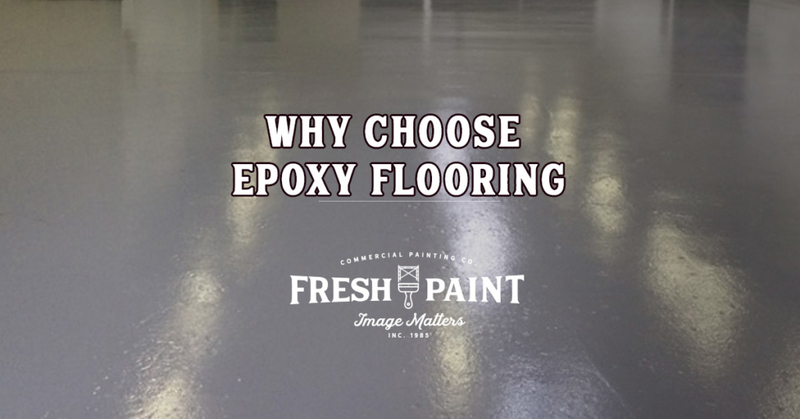 A semi-conductor factory, for example, can be devastated by solid airborne particles, so epoxy’s easy-to-sweep sealant is a necessity rather than an option. Dry process areas can wear heavily on flooring, and heavy duty traffic only worsens the problem. Epoxy is self-smoothing and abrasion-resistant enough to resist microscopic tears and cracks. Printing plants and automotive environments benefit enormously from these properties. Concrete breaks down easily, and the deterioration can make the air toxic for staff and electric components alike. Non-slip additives can further improve your factory’s safety. Epoxy is also an excellent insulator, retaining temperatures while simultaneously absorbing sound. Epoxy’s decorative powers are virtually limitless. It can masquerade as a natural mica surface if flaked effectively. Its transparency can achieve any finish you desire, even wood and granite. Retail, and even industrial, spaces rely on ambience to keep morale high and clients happy. Epoxy is unique because it can show its brightest colors to the world without losing its superhero strength. When applied well, it will serve your stylish and practical sensibilities for decades to come.